Chazelet has to be one of my favourite resorts for a day trip. A small, alpine village that retains a timeless charm – this is one place that truly deserves to be called ‘unspoilt’. The resort statistics are underwhelming on paper – there are 5 lifts serving a staggering 6 kilometres of pistes, but the undeveloped nature of the area is part of the appeal. A day’s ski pass costs a very reasonable 16.50€ and you are unlikely to find many queues. A competent skier can ski every run in a couple of hours, but for a beginner this could be a great place to learn away from the crowds in the bigger resorts. Another big bonus is the grandstand view over La Grave and La Meije – the header image plastered all over this site was taken from a Chazelet ski tour. 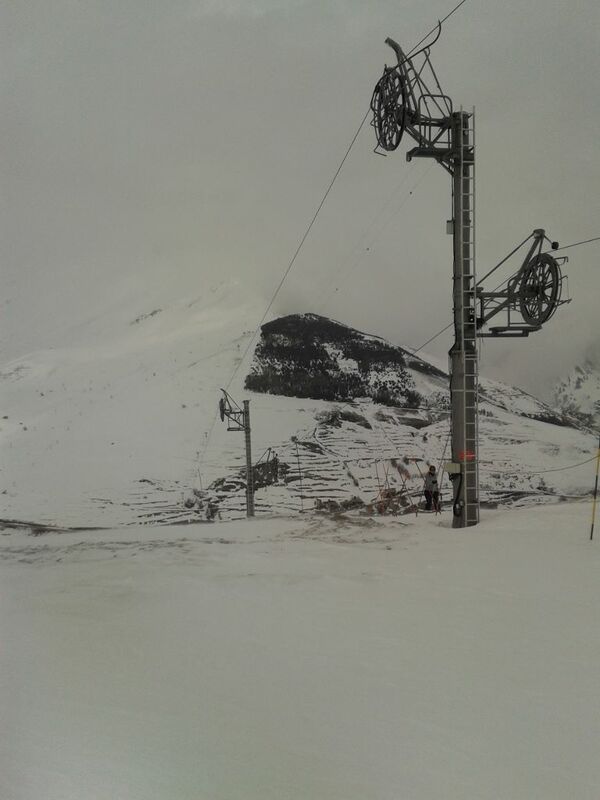 The first time I visited Chazelet, it took me back to learning to ski in Scotland – drag lifts, poor snow cover, mist and a stick-on lift pass on a wire through a zip. Even then I loved the place, but having returned a few more times in good conditions it just keeps getting better. For a good skier, Chazelet has two big attractions. Firstly, after a fresh snowfall when everybody flocks to La Grave, Les Deux Alpes or Alpe D’Huez, there are fresh lines to be skied for much longer in Chazelet. Below the Signal Chair (beware of rocks) and to the right of the Plagnes drag lift (beware of avalanches) there are plenty of opportunities to grab freshies close to the pistes. This can be a good place for a mixed level group – you can ski off-piste alongside friends who are skiing on the blue and green runs, separated by a hundred metres or less. The Plateau d’Emparis drag lift is worth the ticket price on its own. At 1.2km in length, and with 430m of height gain, this is one of the longest, steepest and most uncomfortable lifts I have been on. However, the range of skiing from the summit is almost endless. There is a single red run, and beyond that it is ski where you want, from open faces to tight gullies. The other big attraction is the ski touring in the local area. 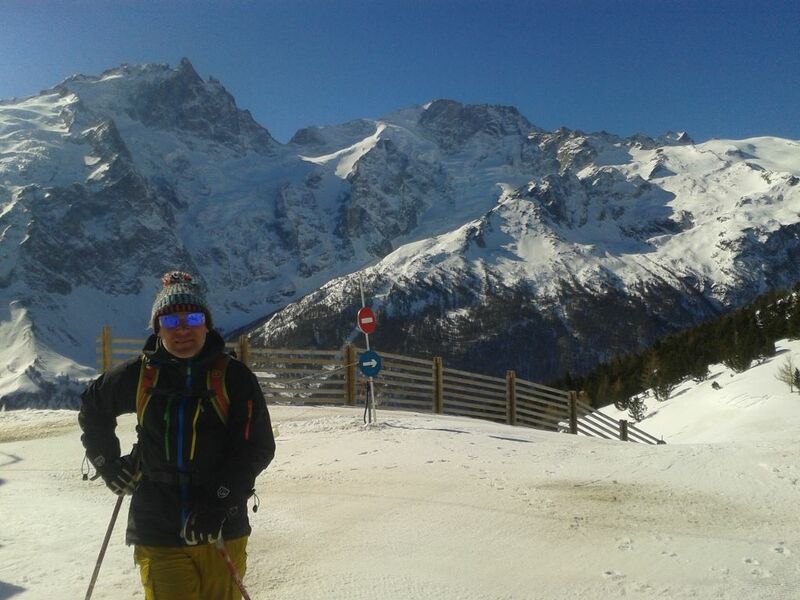 The Pic de Mas de la Grave, Plateau d’Emparis, Signal de la Grave, Petite Buffe and more routes all await, and the lift system can give you that little head start to get further into the mountains. For refreshments, Chazelet ski area boasts a single bar/restaurant, the R estaurant Les Plagnes, close to the base station. To be honest that all that is needed – good straightforward food and drink with a montagnard atmosphere and a great terrace. They are open daytime and evening both summer and winter. There are also a couple more bars and restaurants in the village itself. Overall, it is a great place for a day’s ski touring, grabbing freshies on a powder day, taking your beginner friends, or for a romantic ski date away from the crowds. Chazelet is also good to visit in summer for walking and rock climbing. 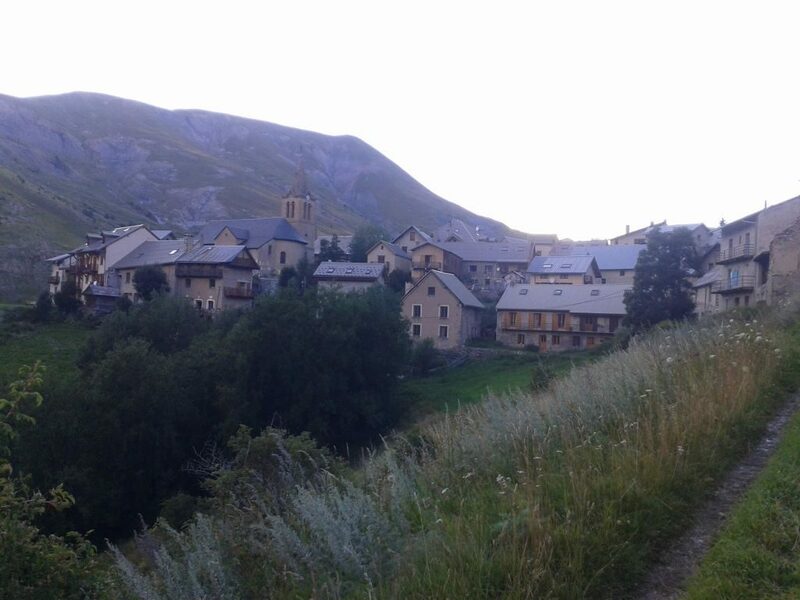 To get to Chazelet, leave La Grave towards Briancon and turn right immediately after the first tunnel. This will take you over the tunnel and up the hillside through Les Terrasses. Keep following signs to Chazelet, and bear right as you reach the village. After passing the village, keep right to arrive at the base station car park. Sounds amazing, must try to go there next year. I am sure Colin has been there with you. He has, in March. He’s in the middle photo.